James believed that there would be no resistance to the idea of a union but a resistance there was: the English Parliament was concerned that the King would install absolutism (the Scottish Monarchs had considerably more executive powers than the English ones), not to mention, they weren’t all that keen to completely submit to a ‘foreign’ ruler, for although James I was King of England, he was not yet regarded as English. It was only at the end of 17th and beginning of the 18th centuries that the major political groups of both countries actually started to support the idea. One of the keenest supporters of a union was King William III. He was afraid that should the Kingdoms remain separate, Scotland would be open to a French invasion. That (perfectly founded) concern was due the fact the French support the Jacobites claimants to the Throne, and the long-standing warm relations between Scotland and France. The relations between England and Scotland on the other hand worsened considerably because of an economic crisis in the latter country. 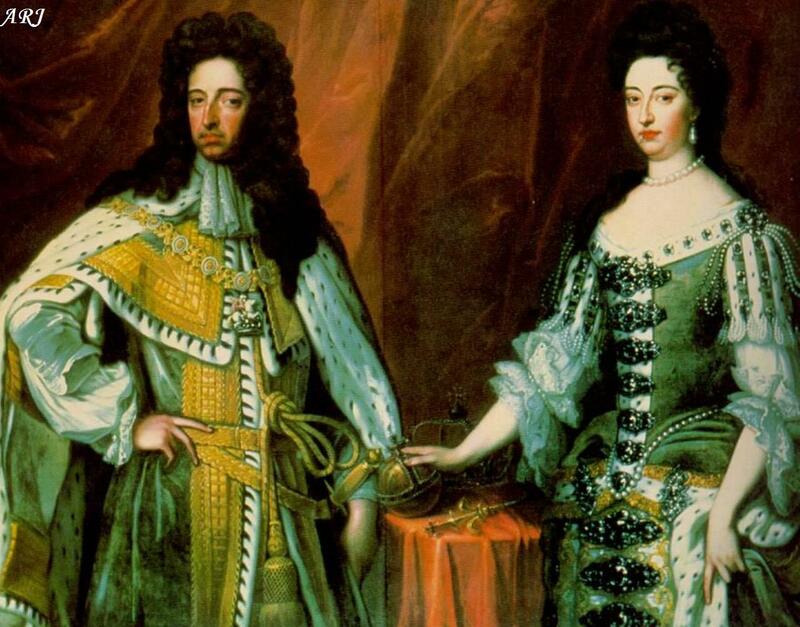 Queen Anne continued the policy, making it one of her priorities. On her orders, the ministers in both countries approached the issue not just theoretically but from a practical point of view. 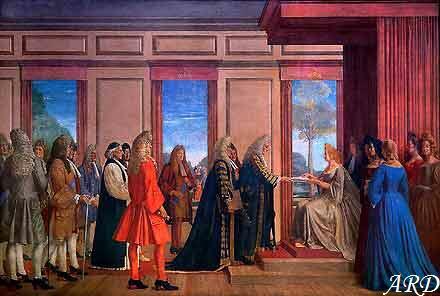 And it was due to her influence that the parliaments of both countries agreed to start negations for a possible union treaty in 1705. Both countries appointed a number of commissioners to commence the negations; the commissioners were very carefully chosen among those who were strongly in favour of a unification. For instance, the English party consisted mainly of Whigs who supported the move, while the Tories – who were generally against the idea – were represented by a single commissioner. The same dynamic could be observed among the Scottish representatives. The negations took place from 16 April to 22 July 1706. Commissioners from each country had their objectives, which they largely accomplished. The English wanted guarantees on the succession to the Crown. By the time, the Act of Settlement 1701 was already adopted, naming Sophie, Electress of Hanover and her descendants as heirs to the English Throne (assuming Queen Anne had no surviving issue). However, the English feared that Scotland might welcome back the House of Stuart (the Jacobites) should the direct Stuart line cease to reign in England. And a different Monarch meant the possibility England and Scotland would once again become enemies. That concern was now laid to rest, with the Scottish party agreeing to a Hanoverian succession. The Scottish, on the other hand, were more concerned about economic issues. The country was just recovering from a very serious economic crisis of 1690s. They wanted and received guarantee they would get access to colonial markets and would be generally equal with England economy-wise. After the negotiations ended, it was the turn of Parliaments of the respective countries to ratify the agreements. While no difficulties were anticipated in England, the situation was slightly different in Scotland. Only 100 of the 227 members of the Scottish Parliament pledged to vote for the union. The 25 members of the Squadrone Volante (a political grouping led by the deposed Lord High Commissioner to the Parliament of Scotland John Hay, Marquess of Tweeddale) was also generally supportive of the idea and inclined to vote for it. The general population was divided on the topic, although the number of anti-unionists far exceeded the pro-unionists. Daniel Defoe reported that “for every Scot in favour there are 99 against”. Likewise, Sir George Lockhart noted that “the whole nation appears against the Union”. Even Sir John Clerk – a devoted pro-unionist wrote that the possible treaty was “contrary to the inclinations of at least three-fourths of the Kingdom”. Numerous petitions against the union were submitted from parishes, shires, burghs and presbyteries. In a stark contrast, not a single petition in favour of the treaty was received. On the day the treaty was passed, the Parliament was forced to impose martial law, because of treats of widespread civil unrest. In the end, the act passed by a narrow margin, not least thanks to the efforts of the Duke of Queensberry who was warmly welcomed in England, although he received much criticism in Scotland. It is said that the successful passage of the act was mainly due to excellently organised pro-treaty groups and complete lack of unity among the opposition. It should also be note that the English made a large number of thank-you “gifts” to quite a few of the notable Scottish politicians, ensuring their support. For instance, £20,000 was specifically designed for direct bribery. The aforementioned Duke of Queensberry received more than half of it – £12,325. Some of the money was used to hire spies, including the famous writer Daniel Defoe (the author of, among other works, “Robinson Crusoe”). Defoe was an important addition to the unionist cause because he had a stellar reputation. In past, he had been fined and sent to prison for “seditious libel”. His reputation of someone who unjustly suffered at the hands of the English, yet spoke passionately for the union convinced many. As John Clerk (one of the early leading unionists) wrote, Defoe “was a spy among us, but not known as such, otherwise the Mob of Edinburgh would pull him to pieces”. Defoe himself admitted he had been hired by Robert Harley, 1st Earl of Oxford and Earl Mortimer (a bit off topic but it is a little known fact that Harley in fact contests the title of the first British Prime Minister with Sir Robert Walpole; Harley had served as First Lord of the Treasury, and as Jonathan Swift wrote in 1713, the First Lord of Treasury was “now commonly called Prime Minister among us”). 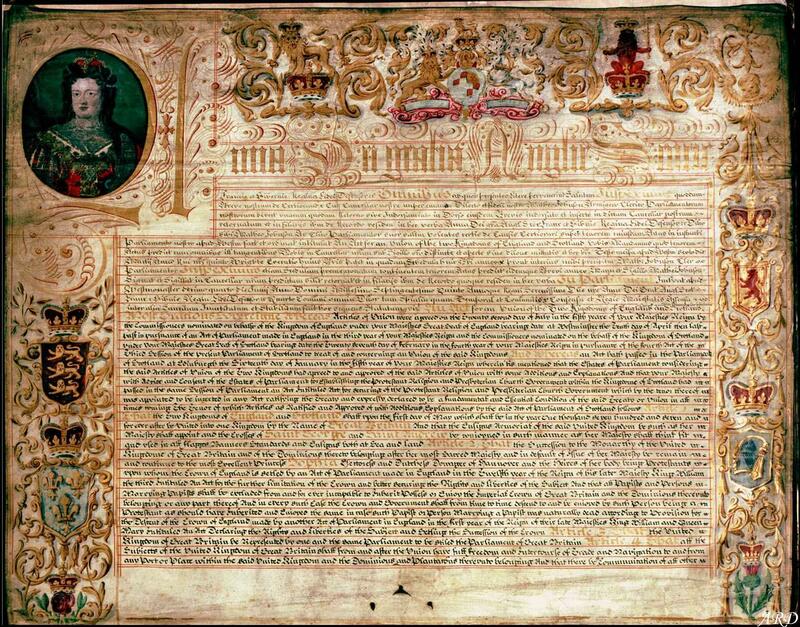 Finally, the Acts of Union 1707 (consisting of the Union with Scotland Act 1706 passed by the English Parliament, and the Union with England Act 1707 passed by the Scottish Parliament) took effect on 1 May 1707. The Parliament of Great Britain was based in the Palace of Westminster in London and largely assumed the same form as the Parliament of England before it (including the two-house system). 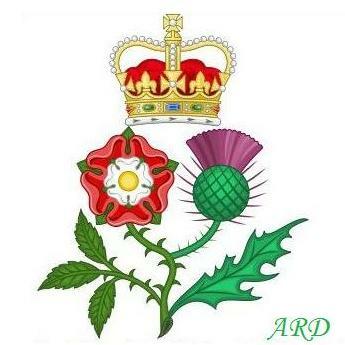 Floral Badge of Great Britain The Tudor rose of England and the Scottish Thistle coming out of the same stem. This heraldic badge was used by Queen Anne after the Act of Union in 1707. Despite Scotland’s initial reservations about the union and lack of immediate positive results (many had predicted quick economic growth, which did not happen), several decades later the union was booming. Samuel Johnson wrote in 1773 that Scotland was “a nation of which the commerce is hourly extending, and the wealth increasing”, also noting that Glasgow had become one of the greatest cities of Britain. Ireland – the third of the sister Kingdoms (England, Scotland and Ireland), was not part of the union. It remained directly subordinate to Great Britain until 1784. 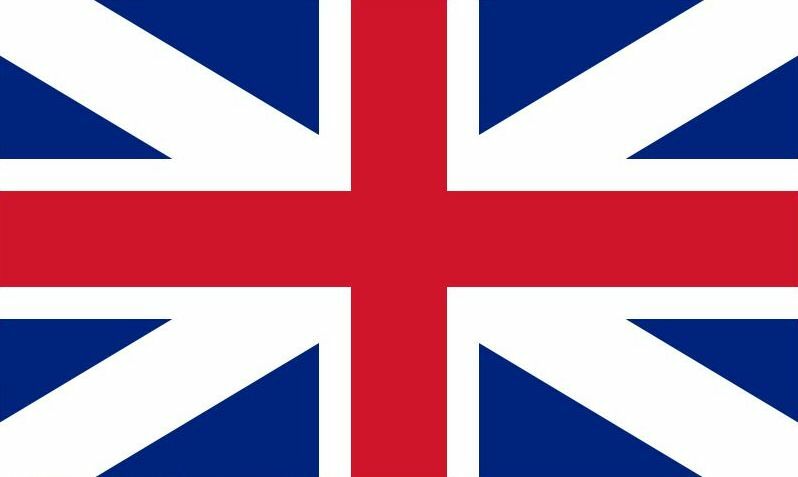 Finally, the Acts of Union 1800 (consisting of the Union with Ireland Act, and the Act of Union) were signed, united the Kingdom of Great Britain and Kingdom of Ireland into the United Kingdom of Great Britain and Ireland. The act took into effect on 1 January 1801. As historian Simon Shama said of the union, “What began as a hostile merger, would end in a full partnership in the most powerful going concern in the world… It was one of the most astonishing transformations in European history”. Indeed, it would difficult to argue the importance of the union of England and Scotland (and later, Ireland). As a united country, no longer at war with each other, Great Britain and subsequently the United Kingdom was able to create one of the greatest Empires in human history. It became the cradle of industrial revolution, the place where the most illustrious minds in the world lived, worked and thrived. The contribution of the British Empire to the world culture is simply impossible to underestimate. To be succinct, the influence and legacy of the British Empire – the direct “descendant” of the Union – is virtually unparalleled in world history.